The Land Rover Discovery was the fastest selling used car in the UK last month, new figures have revealed. According to Glass's monthly Hot Five list, Land Rover's latest release has been flying off dealers' forecourts as the low supply struggles to satisfy the intense demand. Strangely, Dacia and Chevrolet made up the rest of the top five with each of the budget manufacturers having two of its cars on the list. Second on Glass’s Hot Five for July was the Dacia Sandero Stepway, followed by the Chevrolet Captiva and the Chevrolet Orlando. Completing the list was the Dacia Duster. Rupert Pontin, Glass's head of valuations, said: "It's interesting that July’s ‘hot five’ has one prestige and two budget manufacturers, perhaps underlining predictions that the market will move further and further away from the middle-market." 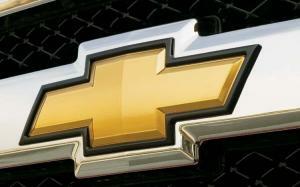 He added: "It could be that Chevrolet's withdrawal from the UK market could prove to have been a little premature."